Apple/Pomegranate/Blue Cheese Salad with Honey Vinaigrette | eat. cook. blog. Here’s another recipe that I’ve had for a looooong time. 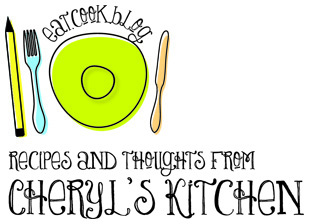 Probably not as long as I’ve had the recipe for Double Chocolate Brownies (it’s not handwritten, but it is typed in a cutesy font with a cute little “apples & honey” graphic, so it must have been when I first discovered word processing and clip art. LOL), but a long time nonetheless. 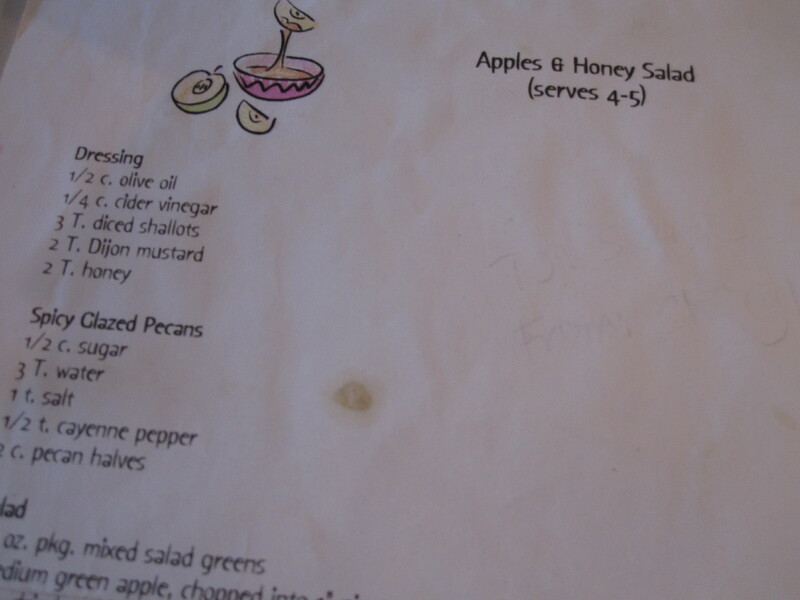 I like to shorten the name of this salad to simply “Apples & Honey Salad”. I’m not sure where it originated, but I know that it has been a part of many Jewish High Holy Day meals at our home. I mentioned previously that it is traditional at Rosh Hashanah to dip apples in honey and that I like to make recipes for the holidays that feature apples and honey. The original version of this recipe does and it’s a delicious way to get that apples and honey fix. It’s also a tasty addition to a break-the-fast meal. I’ve done many variations of the salad over the years. The original called for Spring mix lettuces, spicy glazed pecans (that I made myself…now I buy them at Trader Joe’s), apple, dried cranberries and blue cheese. I’ve switched pear for the apple, pomegranate seeds or any other dried fruit for the cranberries, goat cheese for the blue cheese, arugula for the Spring mix and have done just about every kind of nut. I’ve played with many different versions of the dressing, too, and I think is one is finally THE one. I’m posting the original version of the salad, with variations in parentheses. Any way you decide to mix it up, this salad will be a great addition to your holiday celebration or ANY Fall-inspired meal. In a small bowl, whisk together the vinegar, honey, lemon juice, Dijon, garlic and salt and pepper. Slowly pour in the olive oil while whisking to emulsify (or you can put all ingredients in a blender or even shake together in a screw top jar). To prevent apples (or pears) from discoloring, after chopping, put in a bowl of sugar water (1 T. sugar to 1 c. water) for a few minutes. Drain and pat dry with a paper towel. 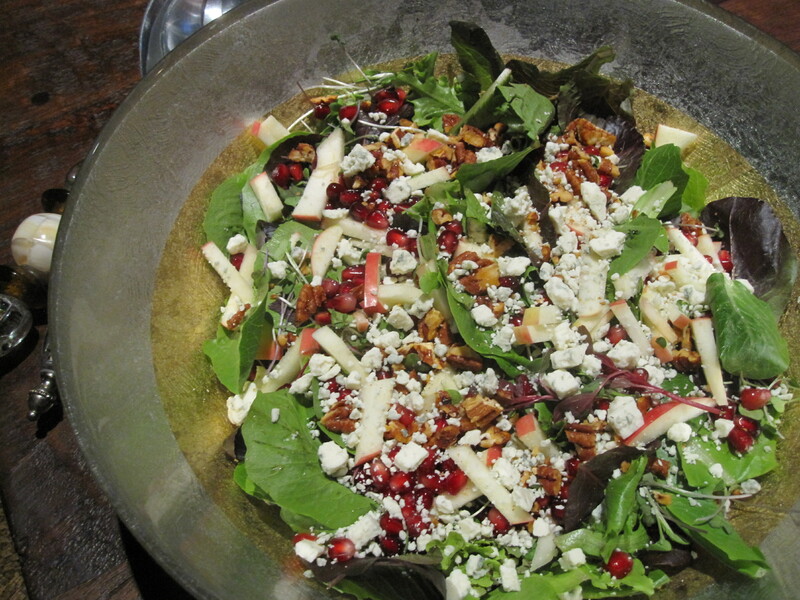 In a large bowl, toss lettuces, apple pieces, cranberries, nuts and blue cheese with about half of the dressing. Taste and then add more if you need it.